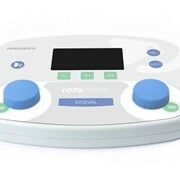 The Oscilla® USB 330 is a PC-based screener audiometer including database with built-in patient response button. 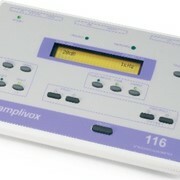 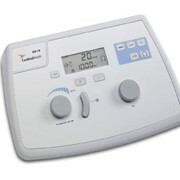 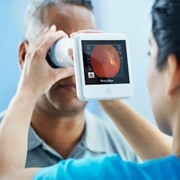 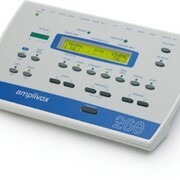 It has been designed to conduct hearing tests and manage patient data comfortably in front of your PC screen. 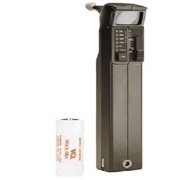 The Oscilla USB330 is suitable for a variety of screening environments. 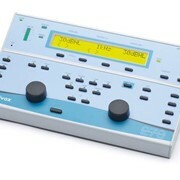 The audiometer is delivered with a handy carrying case designed with the user in mind, making transport together with a laptop lightweight and simple. 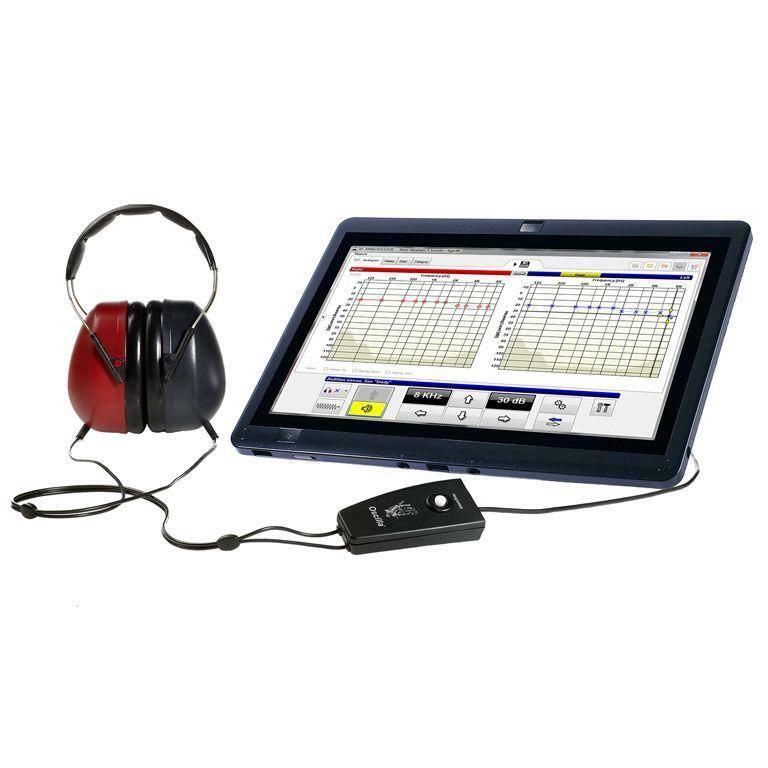 The noise reducing headset also allows for screening tests in various locations, which makes this audiometer ideal for hearing professionals within, for example, school healthcare and occupational health, who need to conduct screenings in different environments. 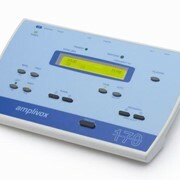 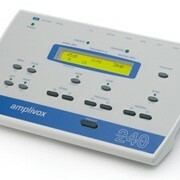 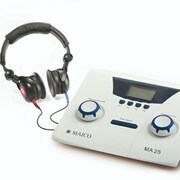 Provides you with a user-friendly interface for audiometry and data management. 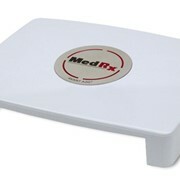 You can watch audiograms update in realtime on your screen, show the results to your patient, save them in the database, generate customized PDF reports or export the results to your patient management system.